If you're a designer, lover of print, or a total nerd, you're going to love the newest products from We R Memory Keepers. 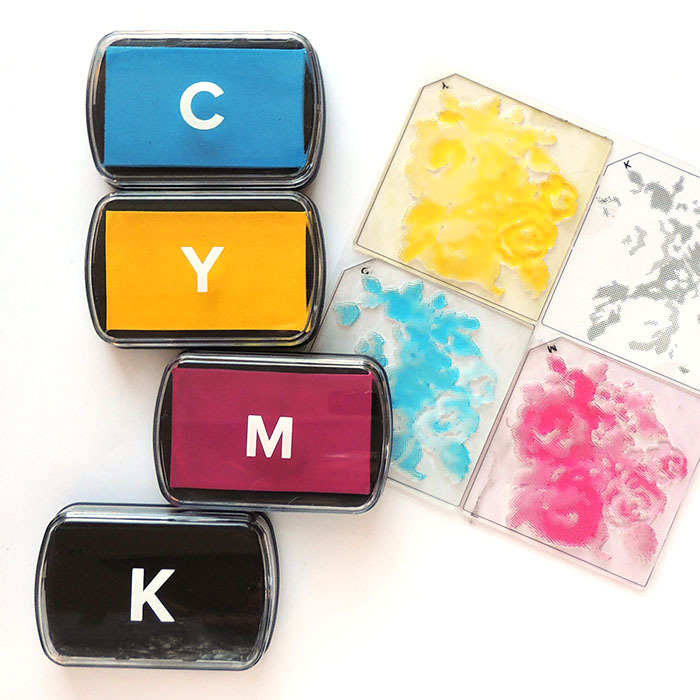 They've recently released a line of CMYK stamps and inks. For those that may not be geeking out as much as I am, CMYK is an abbreviation for Cyan, Magenta, Yellow, and Key (or black). These four colors are used in traditional printing processes to achieve a full range of color. The ink pad set comes with one of each printing color that makes up CMYK and coordinates with the stamp sets. 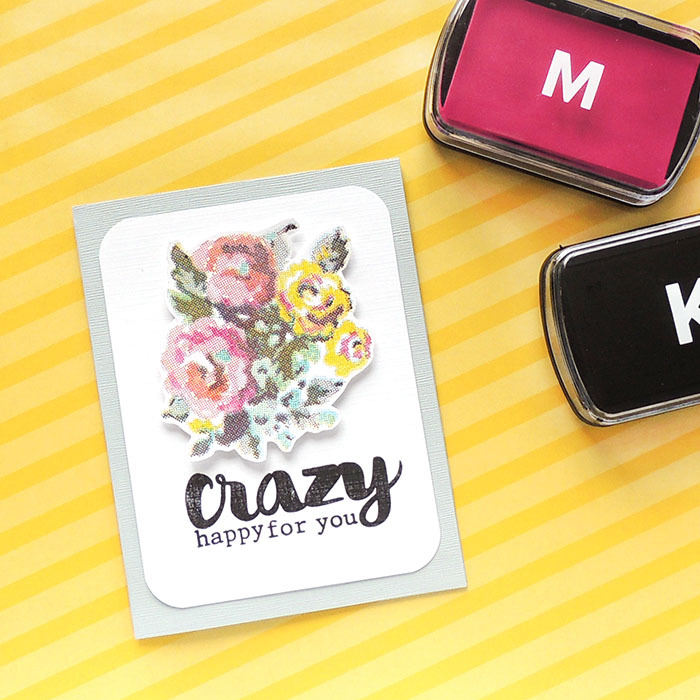 The labeled stamps make layering each color easy and effortless. There's even a guide for proper alignment and step by step instructions to help you get a better understanding of this cool process. The sets have been a big hit at the shop which is exactly why I wanted to show off the new product to you today, as well as offer a few tips for achieving the best images. 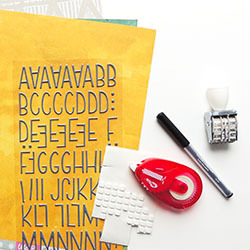 As mentioned above, each stamp set comes with a clear guide for precision stamping. To keep the paper in line with the guide for each layer, I'm using the Original MISTI tool. 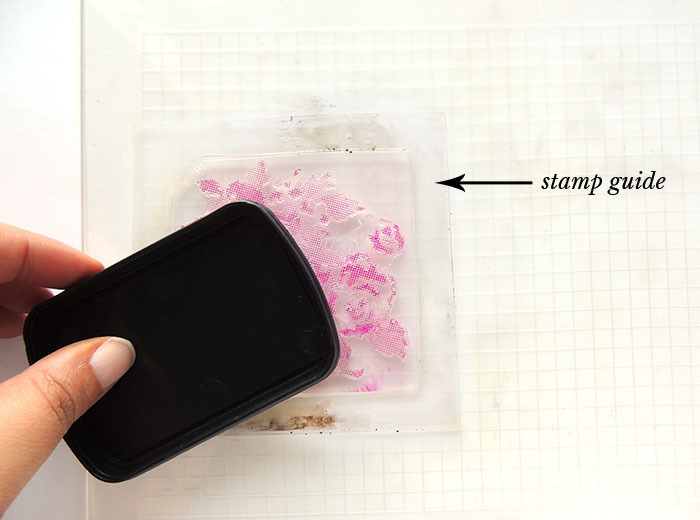 I highly recommend this tool for color layering stamps. We R Memory Keepers released their own version of the tool; however, their Precision Press does not come with magnets or a paper guide. These additional accessories have saved me time and supplies many times. Each color layer may not make complete sense as you stamp them as the shapes aren't traditional shades of color. That's ok! It's the fun of the printing process and watching the four colors combine to create additional layers of color. Follow the instructions to add the other three layers of color. Note, this is a printing ink and has different properties than dye or pigment. 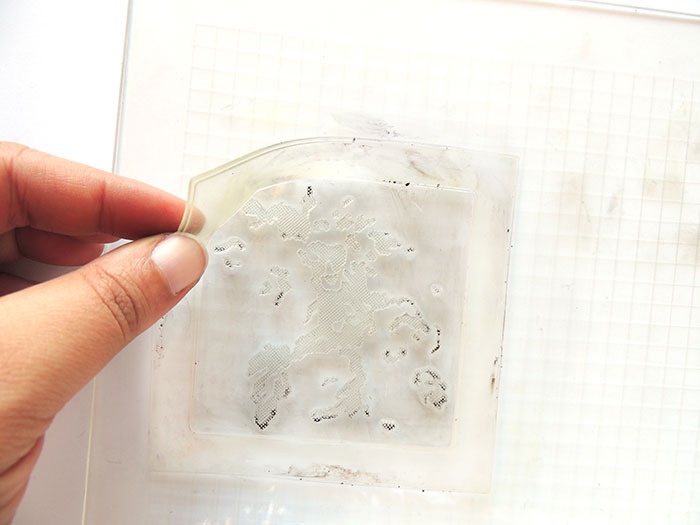 Larger pieces of ink that you allow to dry on the guide will appear almost rubber-like. We used the Stamp Shammy to remove the ink, and it worked well. Over time, however, our stamp started to show how loved it really is. Just ignore all those smudges! 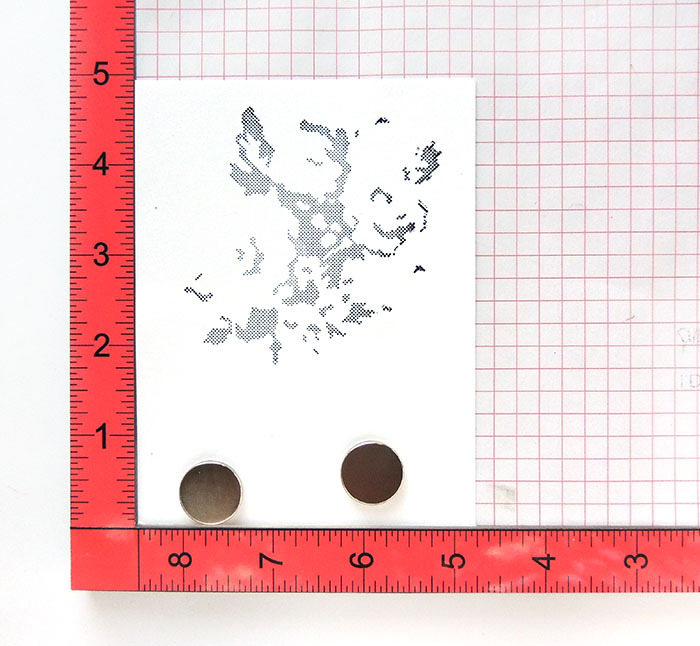 Once you've stamped all four layers, you'll see a beautiful finished image with far more than just four colors. How cool is that outcome? It's like magic! You can shop We R Memory Keepers newest release in store or online, but what if you'd like to try it before you buy it? 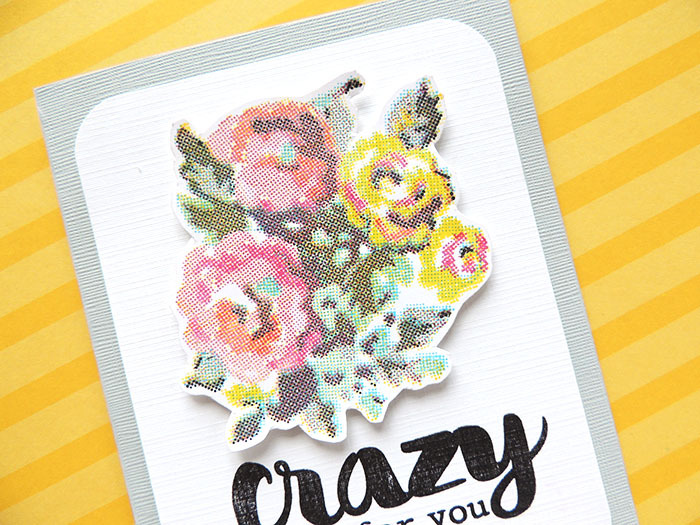 You're in luck, because the card shown is available this week at our Make N Take station. 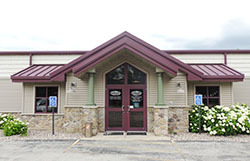 Grab your favorite adhesive, and visit soon. 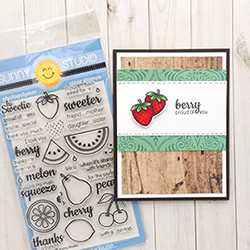 Our Make N Takes are just $2 each and include all the supplies needed to complete the card, as well as step by step instructions. 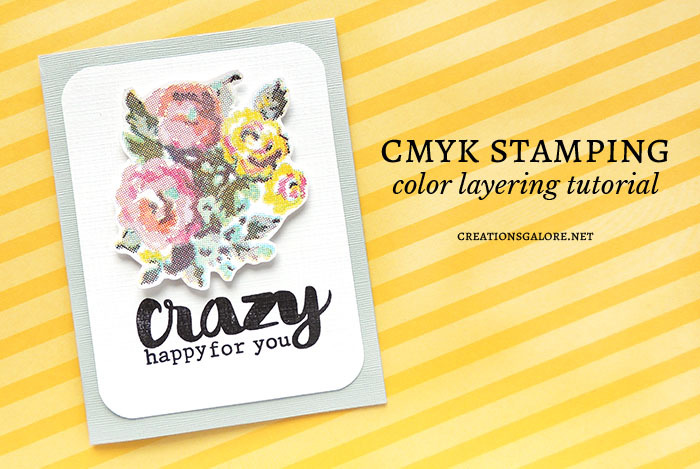 What do you think of this new line of CMYK stamps and ink? Are you familiar with the printing process? SUPPLIES Cardstock: Paper Cut. Stamps: We R Memory Keepers (Rose CMYK Stamp Set), Avery Elle. Inks: We R Memory Keepers (CMYK Ink Pad Set), VersaFine (Onyx Black). Punches: Fiskars (Corner Rounder). Tools: Original MISTI, Stamp Shammy.